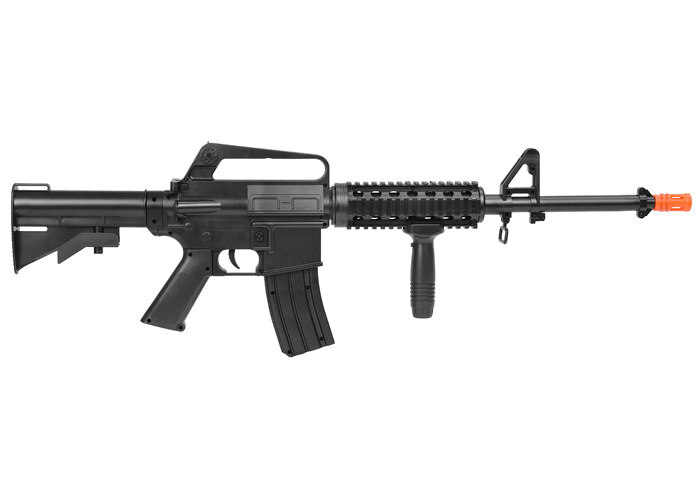 The Colt M4 A11 Tactical RIS Airsoft Gun is a great rifle for beginners or those who are looking to get in some target practice. 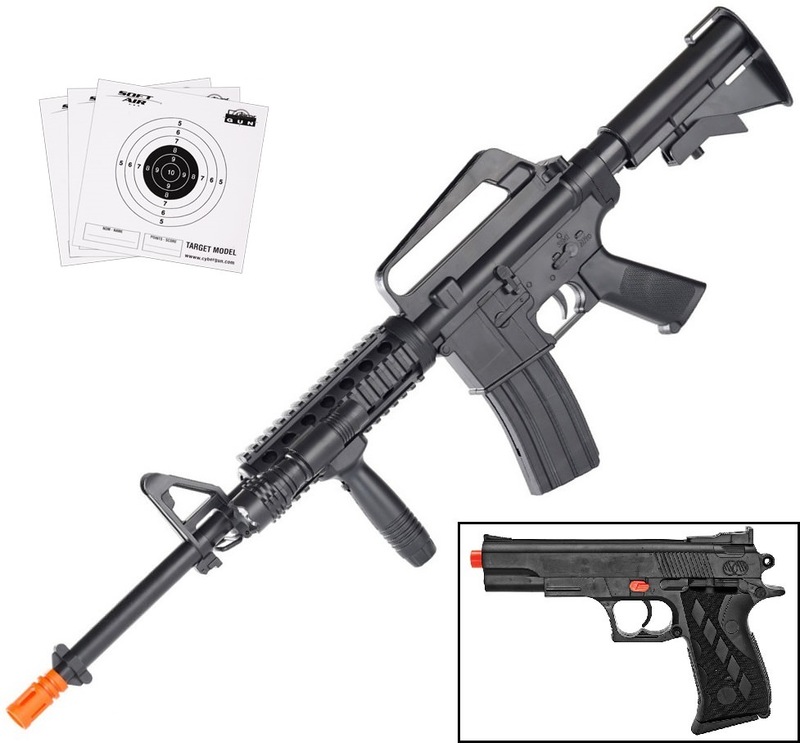 Shooting at an impressive 300 FPS (with .12g BBs) and with an effective range of 80 feet, this airsoft gun fills the niche for an affordable yet reliable airsoft spring gun. 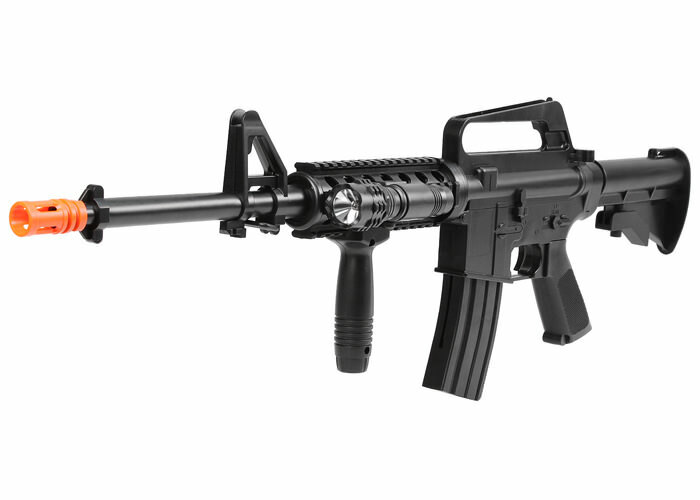 Included is a ergonomic detachable vertical foregrip and weapon-mounted LED flashlight. 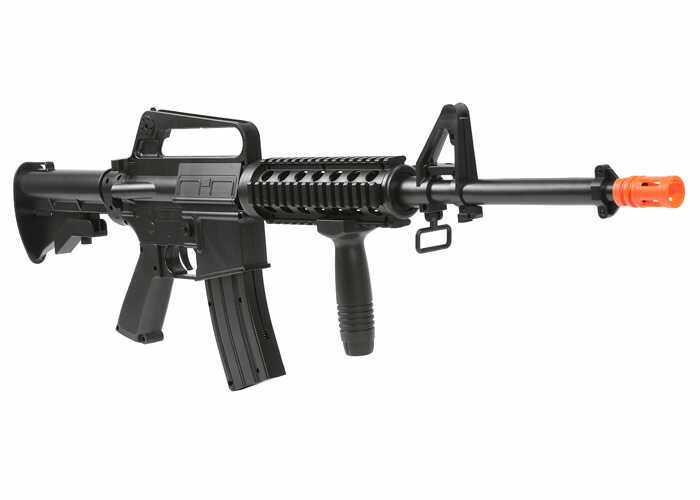 This airsoft gun is fully licensed thanks to Cybergun through Colt. 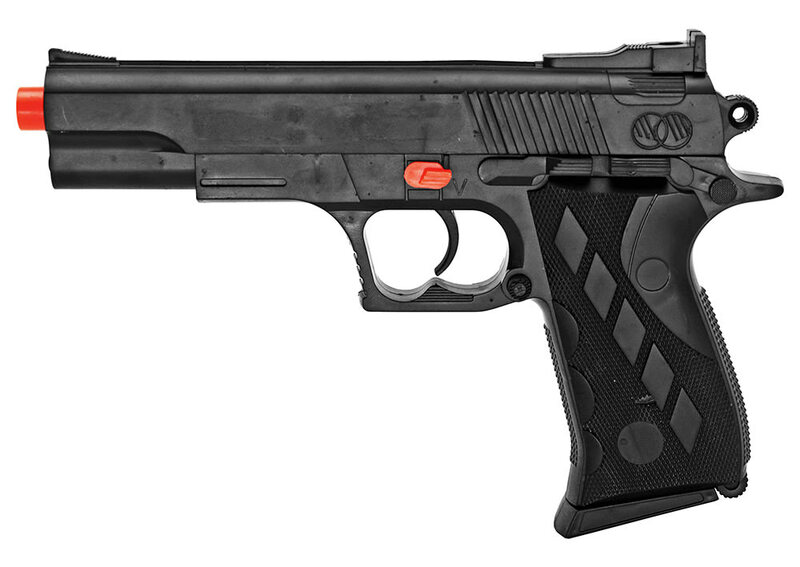 As a bonus, the 1911 Spring Airsoft Pistol gives users a dependable secondary for training. 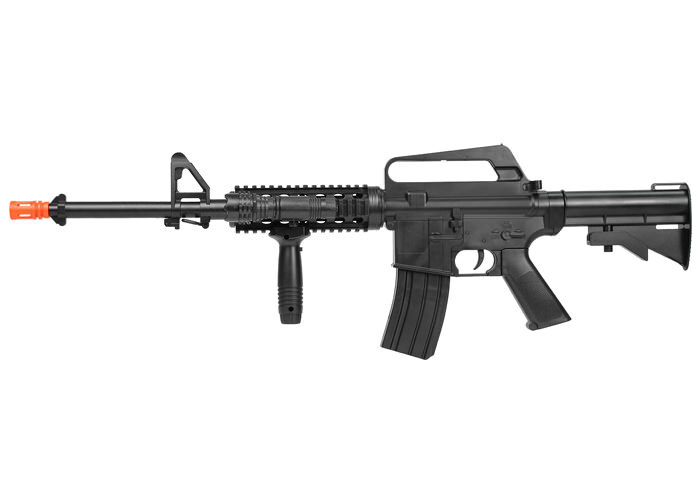 Hit your mark with the Colt M4 Air Rifle Kit. 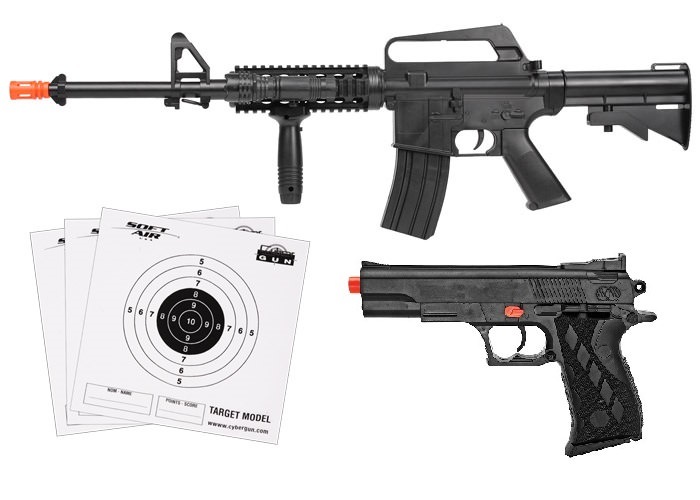 Perfect for any air rifle enthusiast, this Colt air rifle kit includes both a rifle and a pistol for variety of shooting styles. The Colt M4 rifle features a 500-round magazine and can propel at 300 feet per second, while the 1911 Colt pistol boasts a velocity of 210 feet per second. Package Includes Rifle‚ pistol‚ M4 stock‚ M4 magazine‚ 1911 magazine‚ flashlight‚ foregrip‚ sample package of airsoft BBs‚ targets & manual. One of the best selling models of spring airsoft I carry. Excellent markup potential. I have customers who come back and purchase multiple sets of these, for other kids, grand kids, neighborhood kids, etc... Highly recommend. 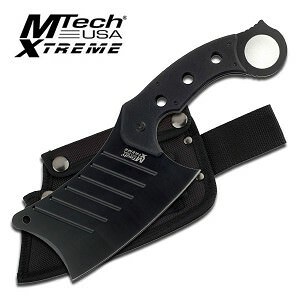 This item is a light weight and easy to hold while shooting. The rifle has ajustable stock so it fits any shooter. The pistol is also light weight and shoots fine.